March’s Full Worm Moon took the skies over the weekend, reaching it’s peak on Sunday morning. 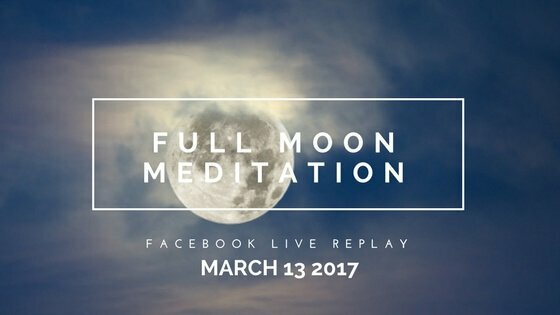 We celebrated by joining together in meditation to harness our period power, and I want to share this meditation with you! Thankfully, the full moon energy stays potent for three more days so you still have plenty of time to take advantage of its energy and carve out time for meditation. If you weren’t able to tune in live with us on Facebook, you’ll find the replay video below. Native Americans named the March full moon the Full Worm Moon. While worms may not evoke positive associations right off the bat, they’re a necessary and beautiful part of the ecosystem (think soil and gardens and spring growth). The same could be said about our periods. If learning how to connect more with your cycle and the energies of the moon resonates with you, I want to tell you a bit about the 4 phases of our cycle and the moon. This moon-connection is one of my favorite aspects of being a woman. Each physical phase we pass through in our menstrual cycle corresponds to a phase of the moon. It also goes hand in hand with spiritual, emotional, and mental changes we experience. We can tap into this cycle of shifting energy to help us understand and heal ourselves and our bodies. The pre-ovulation phase before we release an egg: this is related to the Maiden energy of the Crescent moon. Ovulation when the egg is released: here we have the Mother energy of the Full Moon. Pre-menstruation as our bodies prepare to shed the lining of the uterus: This is the Enchantress energy of the Waning Moon. And finally menstruation when we bleed: the Wise Woman energy of the New Moon. I’ve created a BRAND NEW series of meditations for each phase of the menstrual-moon cycle that will help you connect the moon with your own cycle. You get these meditations FREE when you sign up for my Moon Charting Mastery Program! Click here to find out more.